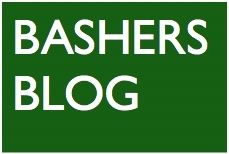 "Bashers Blog? What the devil is he talking about?" I can hear someone saying. Well if you had checked the "Who am I?" section, you'd already know that a "Bash" is a trainspotting trip. Normally undertaken by train. But as there is only one Amtrak train a day in Minnesota I won't be going many places by train. But "Bashers Blog" sounds good so it will stay. Originally the blog was on trainspotterusa.blogspot.com but I don't exactly like the blog format so when I bought the Trainspotter-USA domain name. I decided I'd move it over here and do it the way I want to. What will you see here? Well, I'll report on all my trainspotting trips. Sucessful or not and illustrate them with photographs some good, some not so good. It's all about what goes on on the "bash". I'll try and update the blog weekly depending on how often I get out and how long it takes me to post. Click on "latest report" to get the latest and check the months for archived stuff. I hope it will be simple to follow. When you're on a Blog page click on the "Bashers Blog" logo and you'll be bought back here. If you like what you see I'd love to hear from you.